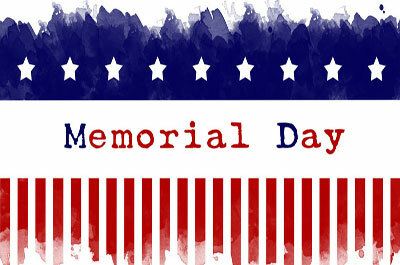 This year Memorial day will be celebrated on Monday, May 27, 2019. It is a time for parades, flags, and wreath-laying ceremonies paying tribute the who died serving our country. 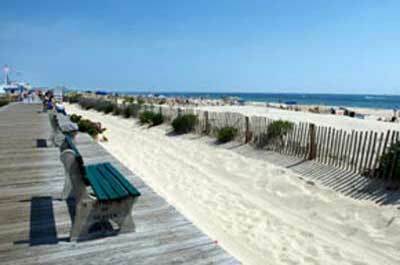 Memorial Day is also the unofficial beginning of summer in New Jersey with the Jersey Shore beach communities coming alive with activities. 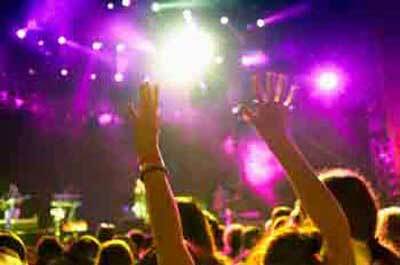 Many of these activities include music festivals, ethnic festivals, fireworks, auto racing events and special events geared to the kick off of summer. This family event celebrates the post-winter grand opening of Field Station: Dinosaurs: A working scientific expedition where visitors participate in active scientific investigations across the disciplines of biology, geology, climatology and paleontology. Field Station: Dinosaurs is a unique zoo, with 31 life-sized animatronic dinosaurs in a natural environment surrounded by one of North America's most important bird estuaries. This family event features Traditional Native American dances along with kids activies including such as face painting, and more. Native American handicrafts will also be availble for purchase.The program will be run by Little Hawk ( Bob Martin).Bob Martin is a half blooded member of the Mohawk tribe and will be joined by his sister, Morning Dove and both their respective families as they introduce a variety of Native American dances practiced during the height of their existence across North America. This family event features the U.S. Navy (USN), U.S. Marine Corps (USMC) and U.S. Coast Guard (USCG) as they showcase the latest capabilities of today's maritime services. Event will include a performance by U.S. Fleet Forces "Brass Band;" USN and USMC helicopter static displays; USN Dive Tank; USO; USMC Martial Arts Program demonstration and pull-up challenge; USCG Search and Rescue demonstration; USCG Silent Drill Team and USMC Battle Color Detachment performances; military static displays, including Stewards of the Sea, World War I Commission, Submarine Forces, USMC ordnance and vehicles; kids activities, bounce houses and face painting, food trucks and much more! This annual event features over 500 vintage cars. Entrants can register in a variety of classes including Mustang, Fire bird, Camaro, VW Beetle, Antique Trucks, and Street Rod, Monster and Mini Truck, and more. Best of Show is awarded the Ed Hagaman Memorial Trophy, named in honor of one of the show's founders. Special dash plaques are awarded to the first 400 entrants. 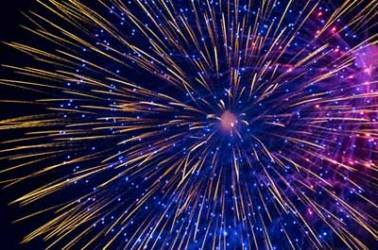 Crystal Springs welcomes your entire family on Memorial Sunday to a spectacular fireworks show at Grand Cascades Lodge to kick off your 2019 summer! Open to all Hotel Guests and Members. Monday, May 27, 2019; 1 - 3 pm. This family event features a picnic on the Ramsaysburg Historic (circa 1794) Homestead with plenty of things to do. 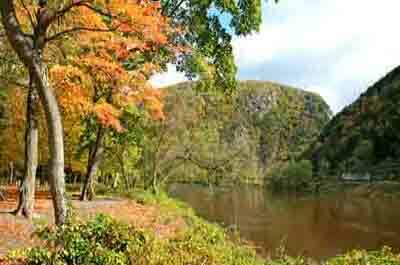 The historical park is situated on twelve wooded acres along the banks of the Delaware River. Bring your picnic lunch and take in the days family activities that include historic tours, scenic walks, use of the boat launch on the Delaware River, along with special Memorial Day tributes. From McBride Ave. from Lackawanna Ave. to Memorial Drive. This event will be held on McBride Ave. from Lackawanna Ave. to Memorial Drive when the street will be transformed into a giant town block party. Our special kids section will be brimming with all kinds of fun stuff to do. There will be kiddie rides, face painting, sand art, temporary tattoos, pony rides & petting zoo. This event brings the whole community together. Local merchants and businesses will showcase their shops and offer their special sales. Everyone come hungry and enjoy the wide selection of delicious foods such as hot dogs, ice cream, chicken fingers, zeppoles, shish ka bobs, fresh squeezed lemonade, Italian Ices, french fries, hamburgers, sausage and pepper sandwiches, cheesesteaks, and much more. 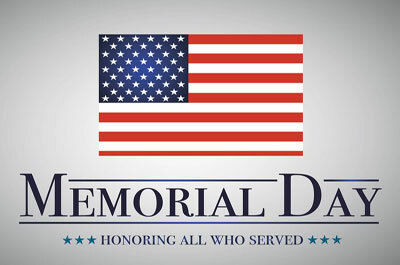 The annual Memorial Day Parade and Ceremony, sponsored by the American Legion and the Borough of Oakland, will be beginning at 1:00 PM at Grove Street and Ramapo Valley Road. The parade will close with a ceremony in Veterans Park. Complimentary food and refreshments will be served at the American Legion Post at 65 Oak Street immediately following the parade. Parade starts at the intersection of Sherman Ave. and Baldwin St. and marches toward Ridgewood Avenue School. Service to follow after parade. The parade begins near the post office on Washington Street and continues to Grand Avenue and Main Street and ends at Union Cemetery on Mountain Avenue. The parade commences at the corner of Lafayette Avenue and Rea Avenue at 1:30 pm. The parade proceeds on Lafayette Avenue to Vreeland Avenue, where it turns right and continues to Parmelee Avenue, where it turns left. The parade continues on Parmelee Avenue, passing Hawthorne High School, to the corner of Diamond Bridge Avenue, where it turns left. The parade continues on Diamond Bridge Avenue to the corner of Lafayette Avenue, where it turns left, and proceeds to the viewing stand at Borough Hall, 445 Lafayette Avenue. Starts at corner of Sheridan Ave. and Ardmore Ave. followed by a brief ceremony at War Memorial on East Franklin Turnpike. This year's Memorial Day services will start at 9:30am, Monday, May 28, 2018 with a ceremonial service at the Oval to commemorate those who have died defending the United States. At 10am, after the ceremony, the parade will start on S. Livingston Avenue and will end at Congressional Way. In the event of inclement weather the Ceremonial Service will be held at the LHS Auditorium. A collection of community groups march from Immaculate Heart of Mary Catholic Church on Island Rd. to Veterans Memorial Park on the corner of Franklin Tpke. and East Ramapo Ave., in time for a Memorial Day Ceremony. The parade starts at 10:00am on Monday on Springfield Avenue from Central Avenue to Academy Street. Starts at the Park Oval, Franklin Avenue and Chesnut Street, followed by march down Chestnut Street to Passaic Avenue, Centre Street and Franklin Avenue past viewing stand at Walker Middle School. Starts at North Beverwyck Rd. and Katherine Dr. and ends at reviewing stand on North Beverwyck Rd. at Volunteers Park. The parade begins at the Sherman Elementary School and will step off at 10:00 a.m. from the school on East Grant Avenue, marching toward Chestnut Street. The parade will begin at 25 Deforest Ave. and proceed to the Village Green. Parade begins at the VFW hall. marchers will go down Stuyvesant Ave past Pearl Harbor Square & Connecticut Farms School to the Veterans Honor Roll & Memorial Park. For the best viewing stop by the Pearl Harbor Square near our Reviewing Stand! Begins on Wyckoff Avenue at Cornerstone Christian Church. As the participants march out of the Cornerstone Church parking lot, they turn left onto Wyckoff Avenue, continue down Wyckoff Avenue before turning right on Main Street, then turn right on Franklin Avenue. The parade ends behind Town Hall at the Ambulance Corps building.